The Rough Times is docked on Badger’s Island in Kittery, Maine. I love being able to walk to/from Kittery so easily now that the Memorial Bridge is back in action. 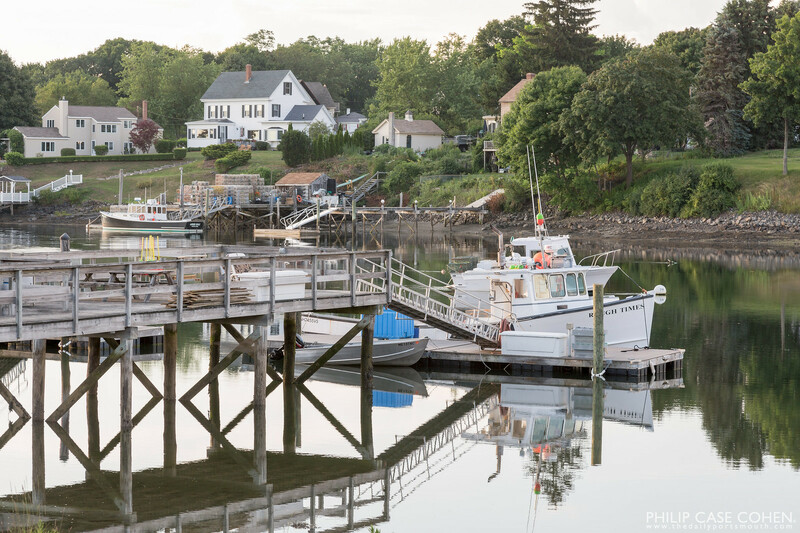 This scene on Badger’s Island has always been one of my favorite scenes along the waterfront – the lobster boats at rest with the shacks and the skyline in the background. 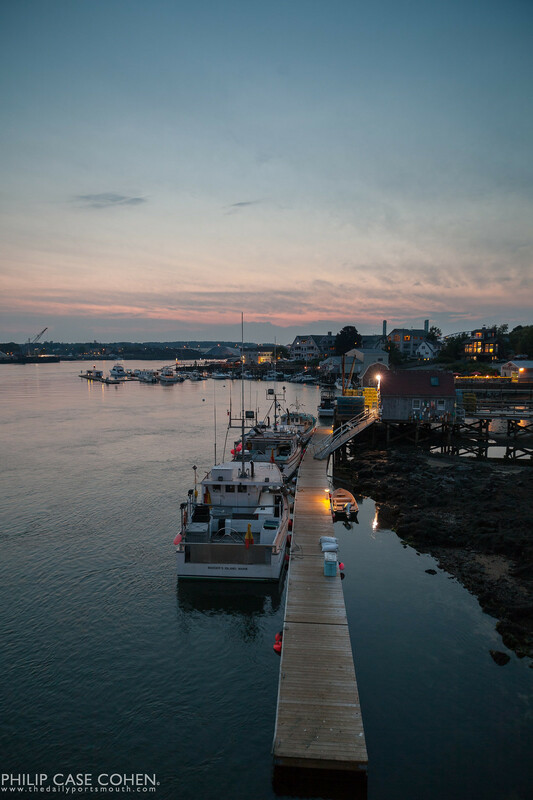 Today features two different sunsets on the Piscataqua River. 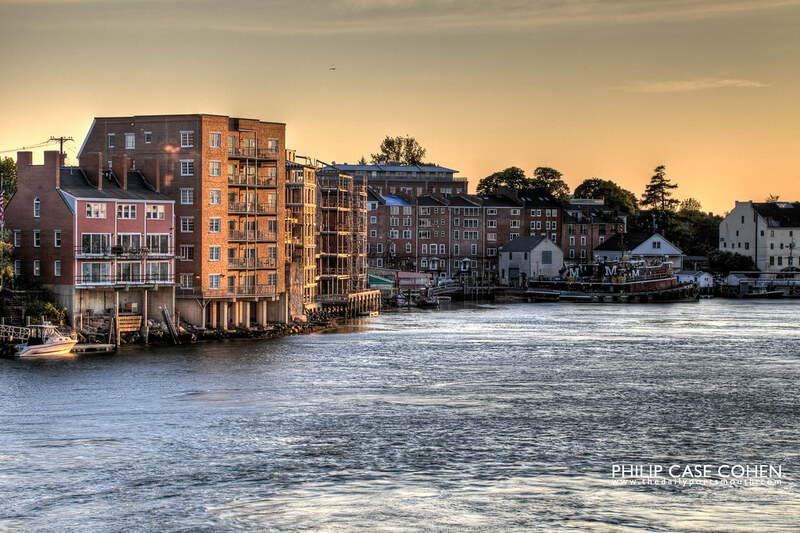 The image above was taken from the Memorial Bridge and features the Bow Street waterfront and the Portsmouth skyline during a subtle orange sunset. I just loved how the orange glow lights up the one building aimed directly towards the setting sun. 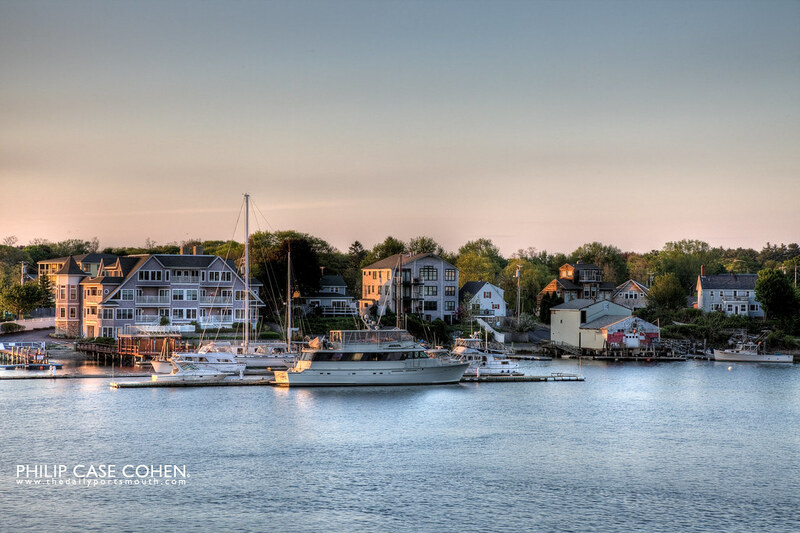 Below, Badger’s Island on the Kittery, Maine waterfront is featured as seen from Harbour Place – taken on a different evening with a different subtle shade of sunset. 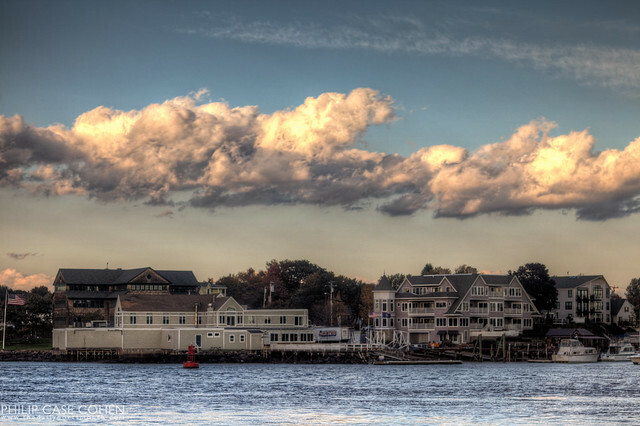 One of Portsmouth’s active commercial fishing locations across from Prescott Park on the Piscataqua River in the foreground. 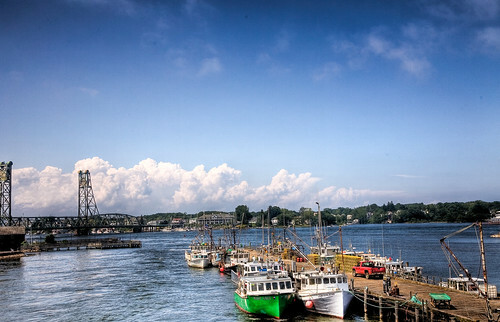 In the background, Badger’s Island and Kittery, Maine flanked by the Memorial Bridge.